Pat on the Back for Joe in #9003 for his NEIGHBORLY service. Here is a note from a loyal neighbor. 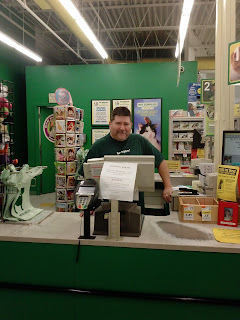 Earlier today I paid a visit to the Pet Supplies Plus store. Your employee name Joe was in the process of assisting another customer and assured me he would be right over to help. I was in the process of starting a new fish tank. Joe found me and proceeded to assist me in setting up my new tank. He answered all my questions with professional ease. I really appreciate being provided this quality of service!